Organization Architeca Designers and Builders – Construction, Interior design – Nagercoil, Tamil Nadu, India. Architeca is a leading construction company in Nagercoil. We are providing all types of construction works whether it is a commercial or residential building with affordable prices and good quality. We have a good experts team for interior design, modular kitchen design, landscape, and architecture. The team will deliver your wish and dreams of creativity. If you have the plan to build your dream building with the professional construction company in Nagercoil then hire us immediately for your constructive services. Architeca Designers And Builders is leading Nagercoil based construction company. We are offering services such as construction, interior design, architecture, landscape design, modular kitchen design, and remodeling and renovation. Architeca is a topper in giving value-added constructive services to our customers by maintaining the successful partnership with their complete construction process. Our commitment is to build lasting relationships with our customers by surpassing their expectations and gaining their trust through exceptional performance by every member of our construction team. We are offering constructive services include interior design, modular kitchen design, architecture, landscape design, remodeling, and renovation. 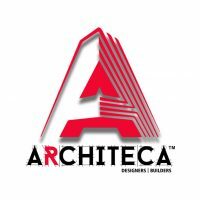 Architeca provides value-added Architectural and Interior Design consultancy services for the infrastructure requirements of corporate, real estate owners & users, developers, and individuals. At Architeca, we deliver results far beyond architecture - results you wouldn’t expect from an architectural firm. We’ll give you measurable outcomes that inspire, invigorate your people, expand sales, produce new efficiencies, minimize energy costs, magnify visibility, reduce construction expenses, and enhance profitability- just to name a few. we are the top architects in Nagercoil. Interior design: We are the top interior design in Nagercoil and We are providing residential buildings and commercial buildings interior design.